Here is a logical reasoning for why that is not a seven, which should give you some insight into how to approach sudoku. Z   . . 5   3 6 . 4 . .
Y   9 6 2   . . 4   . 7 . X   3 . 4   . 2 9   . 6 . U   . . .   2 . .   9 8 . R   . . 3   . 8 .   . . .
A cell cannot take a value if the value already appears in the same row, column, or 3-by-3-box. Let's look at column C - 5,2,4,9,6, and 3 are already present, leaving 1,7, and 8 to be placed in some order into the empty cells at CW, CU, and CS. Now CU and CS must be some arrangement of 1 and 8. U   . . 1   2 . .   9 8 . Now look at the 3-by-3-box around BV, it contains 8,2,7,4,9, and 1, leaving 3,5, and 6 for the other unassigned cells (AV, AU, and BU). Z   . . 5   3 6 7   4 . .
At last! We see that AZ cannot be a 7 (and neither can BZ) as there is already a 7 in row Z (at FZ). X   3 7 4   . 2 9   . 6 . Now you may be able to apply similar reasoning to see that AZ should take a value of 1 and continue on to solve the puzzle! When you ask the puzzle to show you "mistakes" it doesn't just show you obvious things, like if you had put a 9 there when there's a 9 in that 3x3 already. 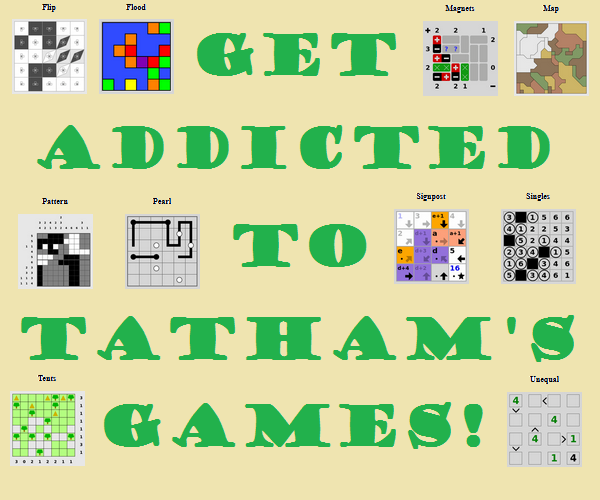 It shows you anything that is different from the actual overall solution to the puzzle. 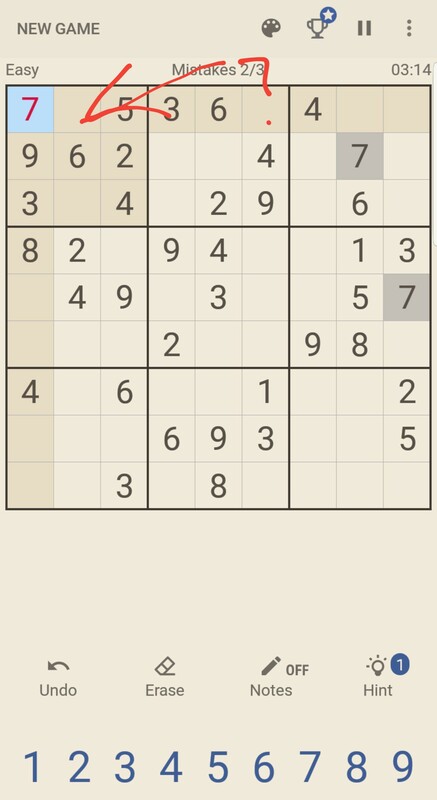 So when it says that 7 is a mistake, that means the actual completed solution to the sudoku doesn't have a 7 there. It doesn't mean "you should know that this is wrong from the information you can see now." There isn't enough information showing to be certain a 7 doesn't go there -- and there also isn't enough information to be certain that it does! That's why many people turn off "show mistakes". I use it sometimes because I only record a number when I'm completely sure it must be right. For example the two in the top row has to be in the rightmost 3x3 and it can't be anywhere other than the middle cell of that top row of the 3x3. But the 7 you were placing, you can't be completely certain sure it goes there, you're just guessing. Just guessing and "show mistakes" don't go well together, at least not for me. The seven can either go where you put it or right next to where you put it, there was a third chance that you would put it in the right place considering that I took no time to solve it so you just eliminated one out of the three possibilities so I recommend that you solve other parts first. As @Kate Gregory pointed out, the 'hints' look at the final result. It technically is a mistake because you can't prove that 7 belongs there. True sudoku is a game of logic not guess work with only one correct answer. You have to prove a number is eliminated from all other options. The completed puzzle using a brute force. 7 goes between the 3 & 4. Why is this Sudoku Skyscraper Failing?